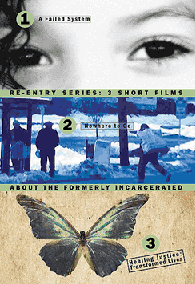 This week, Root & Rebound’s Spring Law Clerk Chandra Peterson reviews five must-watch criminal justice/reentry related documentaries. Be Informed and Take Action! What’s better than snuggling up on your couch with some popcorn and a great criminal justice documentary? Probably Nothing. The only problem is picking which one you want to watch first! That’s where we come in – check out reviews of five thought-provoking and off the beaten path documentaries, and after you have finished those, make time to watch the list of other great titles at the end of this post! Here are my TOP 5 favorite criminal justice documentaries of all time, focusing on films that are a bit off-the-beaten path and might be harder for people to find. ALL of these are great and worth watching, but I have ranked them as well, starting with my most favorite, and the order I recommend watching them. Lastly, because people often hate feeling down/depressed/ helpless after watching a really informative but alarming documentary, we have included some ways you can ENGAGE in the issues portrayed in each of the films and take ACTION! Time in solitary confinement can lead to severe mental health issues and self-harm. Self-harm while you are in solitary confinement is a punishable offense. The punishment? More time in solitary confinement. This documentary was filmed in a maximum-security prison in Maine and explores the terrifying use of solitary confinement as punishment (23 hours a day in a 6×9 cell) in the United States. Solitary Confinement began as an experiment to see if isolation would “reform” people, but was quickly abandoned when institutions and legislators became to understand it was an inhumane and dangerous treatment with severe and long-lasting negative effects on a person’s mental and physical health. Since the 1980s, however, solitary punishment increased in use again and now the U.S. has more people in solitary confinement than any western country – around 80,000 total. 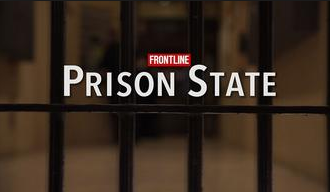 Although this documentary focuses mainly on the effect of solitary confinement on individuals who are subjected to it and their mental health, the documentary also raises questions about how the use of solitary confinement intersects with reentry issues. The warden highlighted that 80% of the prison population at his facility would be released back into the community but would be completely unprepared and extremely vulnerable upon release. As a shorter documentary, this episode is great for someone with a little less time, but an interest to see the extreme effects that solitary confinement has on persons incarcerated. Note: this episode can be graphic. Learn More! Go to solitarywatch.com — Become educated on these issues and spread the word! Donate to Lifelines to Solitary, a program supporting individuals in solitary confinement! Write to people in solitary! Hear what two Supreme Court Justices think about solitary confinement. “The system is set up for them to fail, because when they come out of prison – there is nothing for them.” – Deacon for Catholic Charities who runs a half-way house. If you live in Beecher Terrace, chances are, you have been a victim of the criminal justice system. This documentary follows the lives of four different people as residents of this Kentucky neighborhood and charts their interactions with the system. “Prison State” puts stories and faces to the all too familiar statistics about the overwhelming crisis of mass incarceration in the United States. Follow the lives of Keith, Charles, Demetria, and Crystal as they deal with the punitive forces of the State of Kentucky. Keith’s experiences powerfully demonstrate the urgent unaddressed needs that people in reentry face. He was released into the community with one month’s worth of mental-health medication and the clothes on his back – no money, not even a winter coat. Staying at a halfway house run by Catholic Charities was the only housing option he had that wouldn’t have put him back in Beecher Terrace. After he had stopped taking his medications, Keith returned to Beecher Terrace, stopped reporting to his parole officer and was rearrested on a parole violation charge. Keith, like so many, was passionate to succeed upon release but met so many obstacles and barriers along the way, that he felt like he ran out of options. “You kick me out on the street, and you tell me do this and do that – but at the end of the day I don’t have clothes, I don’t have food, I don’t have no transportation. It’s not easy. What do you expect a man to do?” The sad fact is that non-criminal technical parole violations, like failing to report, send thousands of people back to prison each year — sometimes for years at a time. This is a great documentary to watch for anyone who wants to learn more about the major reentry issues that face the formerly incarcerated when they reenter into their community on supervision. Also, as Root & Rebound works actively to reduce barriers and maximize opportunities for returning citizens in California and beyond, through direct services with social service support, legal & community education and training, and policy advocacy, we’re pleased to see documentaries like this that clearly demonstrate the huge need for our work across the country so clearly. Learn more about how the prison state impacts the lives of black and Latino boys – from their vantage point – check out Punished: Policing the Lives of Black and Latino Boys. Subscribe to The Marshall Project, a nonprofit, nonpartisan news organization covering America’s criminal justice system. Write an op-ed piece for a local newspaper about reentry issues! Click here for more tips on how to do this. Read this article and learn about the public support for expansion of parole and reentry programming in the U.S.
A scholarly article discusses parole-release hearings and the problems with discretionary parole-release decision-making. Read an ACLU report that shows how people who are eligible for parole are still denied release. Gerry was released to a halfway house with $75 and 2 weeks worth of medication. When asked about his expectations for reentry, Gerry responded, “If I was a betting man, what would be the odds of me coming back to prison, ahh, Zero … I feel good, you know about leaving, and I am going to be gone – stay gone.” Three months later Gerry stopped taking his medication, robbed a pharmacy and returned to prison. Reentry is extremely difficult for every person who steps out of prison. But mental health issues can make reentry seem almost impossible unless the individual has access to family support and treatment. This documentary highlights the main issues for individuals being released from prison with mental health issues: housing and treatment. This documentary also highlights what it dubs “A System’s Utter Failure,” and takes the viewer through the history of deinstitutionalization, the process of replacing psychiatric hospitals with less isolated mental health services. United States deinstitutionalization of those with mental health issues happened after the country learned that mental hospitals in the U.S. looked incredibly similar to Nazi Concentration camps. However, after ending that practice, the government did not adequately fund mental health services, which explains how prisons and jails have now become the only place for people with mental health issues other than the streets. These heartbreaking stories of our failure to help individuals reintegrate back into society will leave you with a better sense of understanding, but an even stronger feeling of discontent with our current reentry system. Learn more about one of the featured organizations: Bridgeview Manor – a residential treatment facility for individuals with severe mental health issues. Volunteer to help those facing mental health issues in our society. Did you know that San Francisco has a great Behavioral Health Court where individuals suffering from mental health issues who have been charged with a crime can receive mental health treatment? Learn more about the program! A new report by the Urban Institute talks about incarcerated individuals with mental health issues and the lack of updated information, reliable data on programs and policies aimed at care and treatment of such prisoners. Study examining police related deaths in San Diego finds that 81% of the people shot had mental health issues or drugs in their system. A county in Oregon released a study that proclaimed that individuals with mental health issues should be admitted to community-based treatment – not prison. This series is broken into three short videos. Great for someone who wants to understand the barriers to reentry, but doesn’t have the time to sit down and watch a full fledge documentary. After watching this influential series though, you will probably want to make time to watch other documentaries. Through the voices of previously incarcerated individuals and passionate advocates, this documentary describes the different housing options for people leaving prison – transitional housing, shelters, friends or family, or as one person explained, behind a dumpster. The difficulty housing challenges present to reentry is highlighted by its connection to other reentry issues including mental health, substance abuse, and transportation. Whether you are someone who was formerly incarcerated yourself or someone who works with individuals trying to reenter the community, this documentary will lift your spirits and remind you that with support and “Healing Justice,” we can break down the barriers to reentry. If you are looking for inspiring stories from people who have broken the cycle or a plan for transitioning between prison and the community, this film is for you. Stigma. Jobs. Education. Housing. All problems that individuals face when reentering the community. This short video, through the lens of two grassroots advocacy events, highlights these barriers and calls for change in New Jersey. Host a Screening of this series! Get people talking about reentry and raise money for a great criminal justice/reentry non-profit (like Root & Rebound, UnCommon Law, ASI Project Rebound at San Francisco State University, and Prison University Project) in the process. For a whole host of other ways to get involved see their suggestions, which range from writing op-ed pieces to hosting events! Watch one more short film on the difficulties of finding employment and acceptance once released from prison. Mike Tyson weighs in on reentry and rehabilitation. Read about reinventing reentry and a unique new tool being rolled out by a formerly incarcerated man. The Urban Institute tells how family and social support are important for reentry. This documentary is put together beautifully and well worth the one hour and forty-eight minutes that it will take you to watch it. While focusing on the “War on Drugs” and the major consequences this political talking point has had on people and communities, it also ties nicely into reentry. Filmmaker Eugene Jarecki, meticulously depicts incarceration and the effects incarceration on generations of families in impoverished inner-city communities. With a record, you will find it difficult if not impossible to get a job. If you want to go back to college, you will be ineligible for certain grants. You will find it hard to get certain health care benefits. You can’t live in certain places – sometimes you can’t live with your family. You can’t vote. Jarecki’s ability to tell such an important story through the voices of people who are most dramatically affected by it is brilliant. His occasional use of speeches by politicians reminds you of how engrained these problems are in our society and how the people who should be fixing them have no understanding of what the real issues are. Finally, his thoughtful questions narrated throughout will keep you engaged and delving deeper into the “War on Drugs” and its affect on reentry. Read The New Jim Crow by Michelle Alexander, who was one of the commentators in the documentary! Call and Write your Senators and Representatives to tell them you support the Smarter Sentencing Act of 2015! You can find more information about the bill and find your representatives here! Join the movement against Mandatory Minimums! Families Against Mandatory Minimums has a plethora of information about ending mandatory minimums and countless ways you can get involved! Read a United Nations report that criticizes the U.S.’s criminal justice system as a violation of the Convention Against Torture and Other Cruel, Inhuman or Degrading Treatment or Punishment. U.S. Today writes about the staggering racial disparities in arrests across the country. All of these documentaries explore our criminal justice system and exemplify the prevalence of reentry barriers as part of that system. They are powerful films for someone who is unfamiliar with the criminal justice system, but they are also great reminders to those who work with or within the system of the issues that permeate our work. And the faces and stories of those featured in these documentaries are important reminders of the work that we have left to do. Selma – Oscar Nominee for Best Picture and Original Song follows Martin Luther King, Jr. in his marches from Selma to Montgomery. Pull of Gravity – Like the pull of gravity pull– the criminal justice system pulls black and Latino boys into prison, time and time again. Gideon’s Army – Winner of multiple awards, this film follows three public defenders in the deep south and highlights their struggles as advocates in a system where the deck is so clearly stacked against them. Fruitvale – Another award winning documentary, this film tells the story of Oscar, a man who was shot in cold blood by BART officers on New Year’s Day. Paradise Lost – A three-part documentary about the trial of three teenagers who were accused of murdering three boys. Into the Abyss – With a 7.3 on IMDB, Into the Abyss covers conversations with Michael Perry, who is on death row. The documentary seeks to serve as an examination of why people – and the state – kill. The Thin Blue Line – A 1988 film that unfortunately still has relevance today depicts the story of Mr. Randall Adams, a man convicted and sentenced to life in prison for a murder he did not commit. Women Who Never Give UP,Inc.